The Best Books Ever: Exile for Dreamers (Stranje House #2) by Kathleen Baldwin ~ Tour Review and Giveaway! 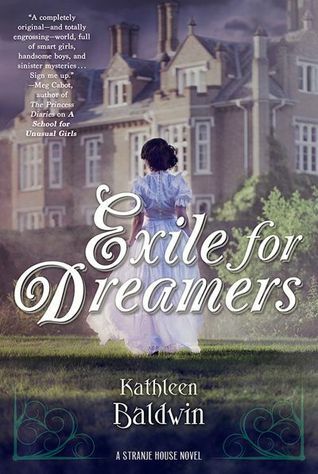 Exile for Dreamers (Stranje House #2) by Kathleen Baldwin ~ Tour Review and Giveaway! It’s 1814. Napoleon has escaped his imprisonment on Elba. Europe is in shambles. Britain is at war on four fronts. And at Stranje House, a School for Unusual Girls, five young ladies are secretly being trained for a world of spies, diplomacy, and war. Tess Aubreyson can’t run far enough or fast enough to escape the prophetic dreams that haunt her. Dreams bring nothing but death and grief, and Tess refuses to accept that she may be destined for the same madness that destroyed her mother. Until her disturbing dreams become the only means of saving Lord Ravencross, the man she loves, and her fellow students at Stranje House. Tess’s old friend, the traitorous Lady Daneska, and Ghost, the ruthless leader of the Iron Crown, have returned to England, intent on paving the way for Napoleon’s invasion. Can the young ladies of Stranje House prevail once more? Or is England destined to fall into the hands of the power-mad dictator? There is one MAJOR difference between Exile for Dreamers and A School for Unusual Girls. We get this story from the POV of Tess, one of my favorite Stranje girls. Normally, I don't like character changes from book to book, but in certain circumstances, I love it. With this series, I love it. I hope to see a book for each of these wonderfully unique girls. The book begins with a bang, literally. Plus a dead on knife throw. From there, it just gets better and better, as we are thrown into the lives of the Stranje girls and their incredibly unique talents. Though I miss Georgie's perspective, Tess offers up something completely different to the table. She is brash and tomboyish, and sarcastic to a fault, and tough as nails. We learn more about her past, and the circumstances that led her to Emma Stranje, and they will break your heart. But Tess never lets it break her. The girls are faced yet again with the treacherous Lady Daneska, who is seeking revenge on Georgie for the events in book one. There is also a new character that arrives at Stranje House, who must be protected at all costs. For him to fall into the hands of the Iron Crown would mean almost certain death for the English. Protecting these two, and the deceptively rude and angry Lord Ravencross, are high on the list of this books awesomeness. Tess's dreams are getting worse, as well, but is she ready to see if she can use them to make a difference? Or will she let them drive her mad? And can she ever have a future with Lord Ravencross? You will have to wait and see, but the getting there is so much fun with these two! It was also a huge pleasure, getting to know Ms. Stranje and Madame Cho better in round two. Don't fret, book one lovers, we get plenty from those characters, too! This series has easily become a favorite of mine. There is so much that goes on in each of the stories, but the plot never gets muddied. Everything is laid out brilliantly, and keeps the story moving along at a fast clip, which I always appreciate. The characters are rich and relate-able, and you can't help but hoping for the best of the best for each of them. 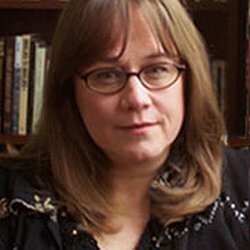 Kathleen Baldwin is a gem of an author. I am so happy to know that this series will continue, with Jane's story. That ought to be a fun one! I would recommend this book to everyone! If history scares you, or just isn't your thing, no worries! I am not crazy about historical fiction, but this one is well worth it! "I love adventure in books and in real life. I've roamed the Rocky Mountains, wandered the desert, enjoyed way too many classes in college, was stalked by a mountain lion, lost an argument with a rattlesnake, fell in love at least a dozen times, finally met and married my very own hero, and together we've raised four free-spirited children." Award-winning author - Kensington published four of Kathleen's Regency romantic comedies, including MISTAKEN KISS, a Holt Medallion finalist. DIARY OF A TEENAGE FAIRY GODMOTHER, was a Golden Quill finalist. Her upcoming Historical YA series with TorTeen, A SCHOOL FOR UNUSUAL GIRLS, is a Junior Library Guild Selection and won a Marlene.